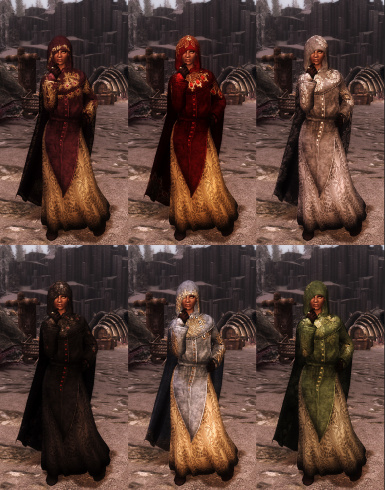 Adds 6 sets of Velvet Robes, Cloaks, Hoods, Gloves and Boots in Skyrim. 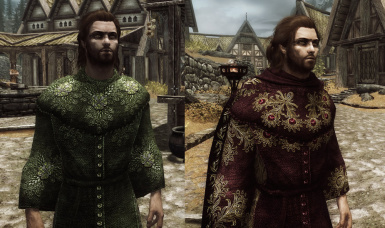 - Noodles for his great Cloaks Of Skyrim mod and generous permission to use his meshes freely. The mod is no longer supported by the author. 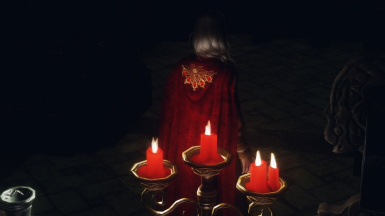 Feel free to use my assets in your mods/ports with a proper credit. 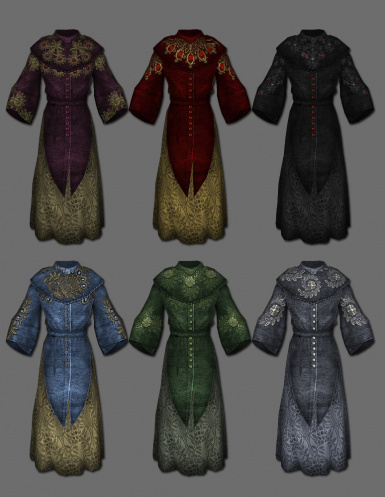 Adds embroidered velvet robes and cloaks craftable at tanning rack. 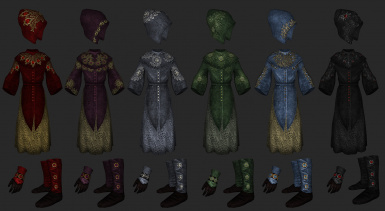 Robes and Gloves use vanilla Mythic Dawn Robes mesh. 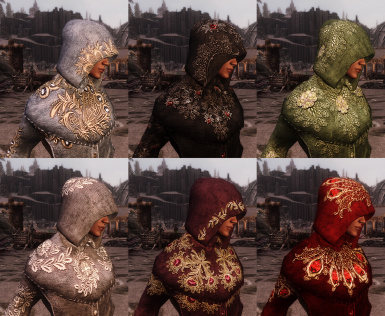 Hoods use vanilla Thieves Guild Hood mesh. 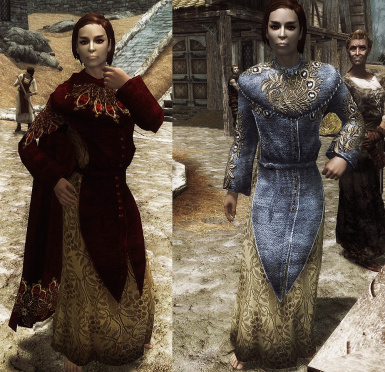 Hoods use vanilla Merchant Boots mesh. 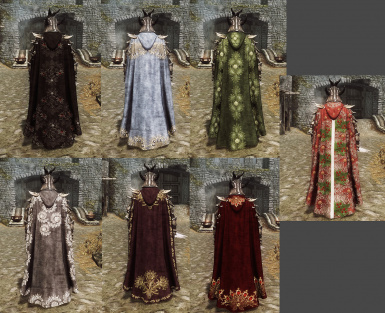 Cloaks use meshes from Cloaks of Skyrim by Noodles mod. They use the same 46 unnamed slot. Or extract the content of the archive ("meshes","textures" and the .esp file) into your Data folder. Activate the esp un game launcher. You may craft outfits at any Tanning Rack under Mics section. 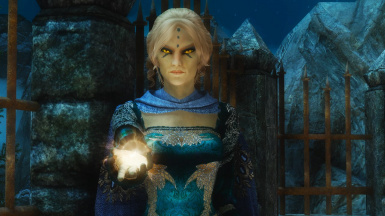 You'll need Fine Clothes, gold and silver necklaces and flawless gems to craft the items.